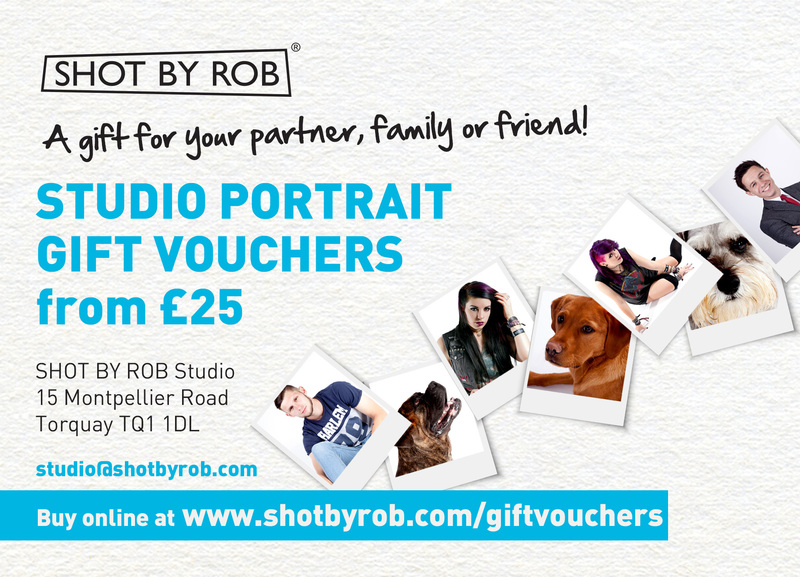 SHOT BY ROB Studio Gift Vouchers from £25 | SHOT BY ROB® | If I'm not there, it didn't happen! If you wish to purchase a higher amount simply buy multiple vouchers. To redeem a voucher please forward the NOCHEX receipt by email with a choice of preferred dates for the sitting to studio@shotbyrob.com. Studio appointments are subject to availability and are between 10am – 6pm Monday – Friday and 3pm – 6pm on Saturday. Appointments outside of these hours are available at a small premium to be discussed at the time of booking. Parking is available in the harbour car park, a short walk from the studio. Please arrive 15 minutes before the appointment to avoid any delay in starting the photo shoot. £25 studio sitting valid for individuals, couples and one pet. For larger groups please email for a price. Voucher valid for 12 months from date of purchase. 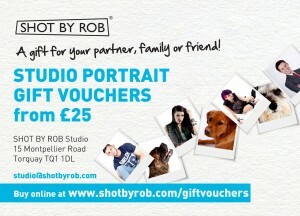 This offer is only valid at SHOT BY ROB Studio, Torquay.